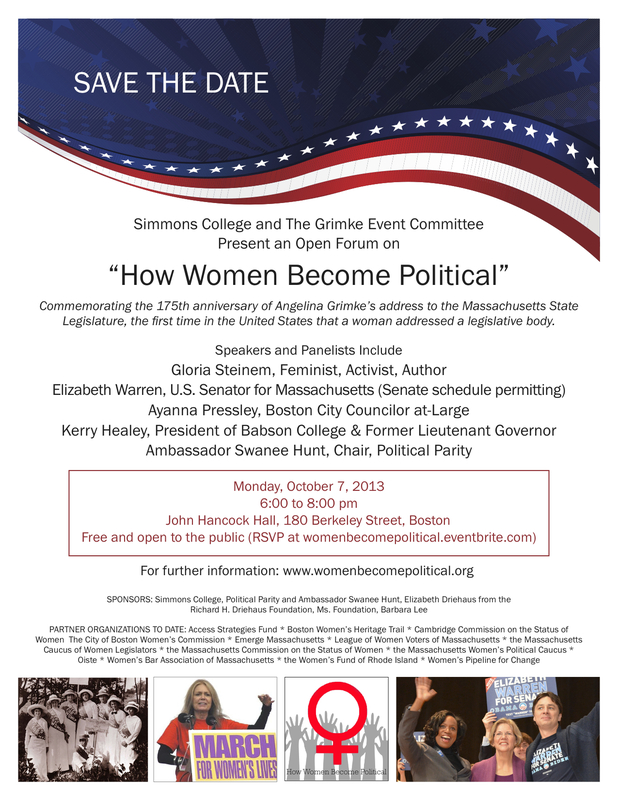 An open forum on October 7, 2013 commemorating the 175th anniversary of Angelina Grimke’s address to the Massachusetts State Legislature — the first time in the US that a woman addressed a legislative body. Panelists include Gloria Steinem, Elizabeth Warren, Ayanna Pressley, Kerry Healey and Swanee Hunt. 6:00-8:00 pm, John Hancock Hall, Boston. Read more.